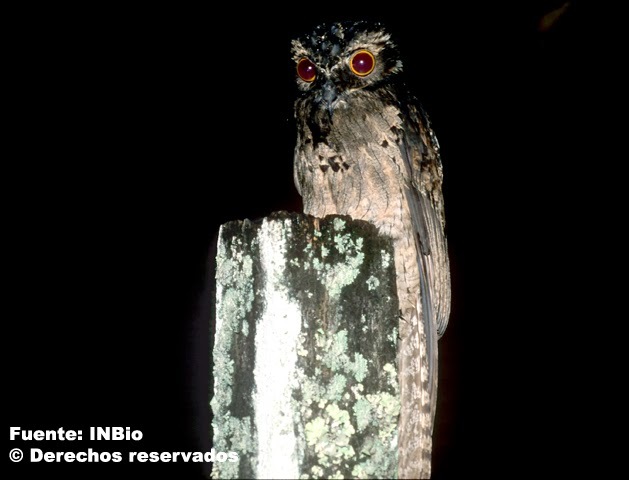 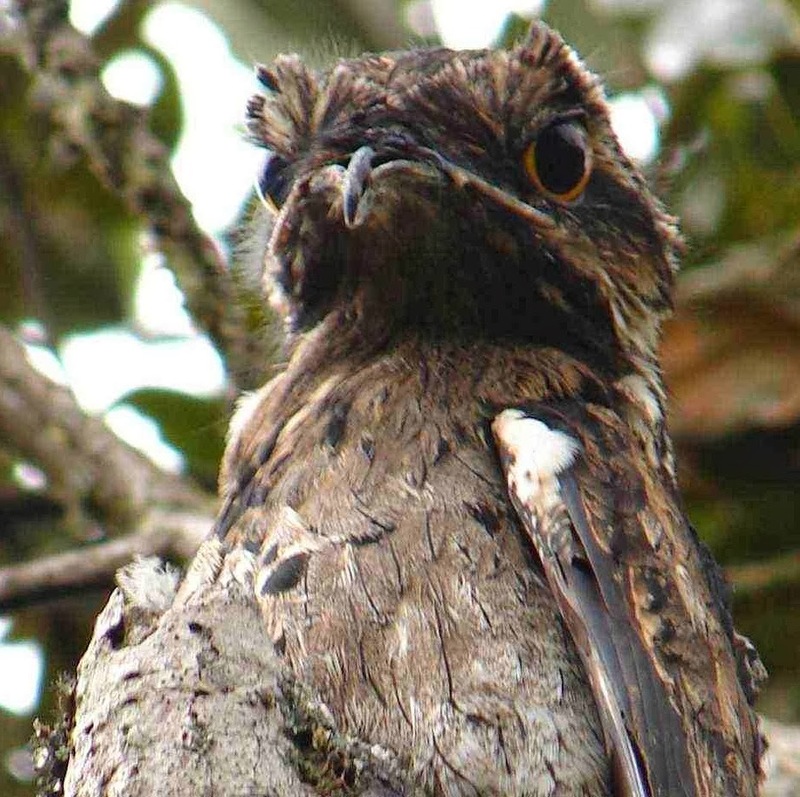 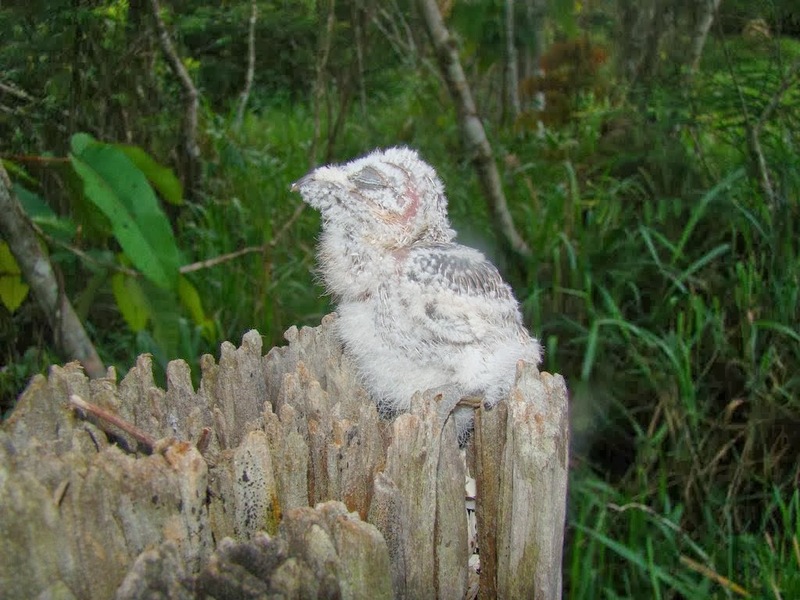 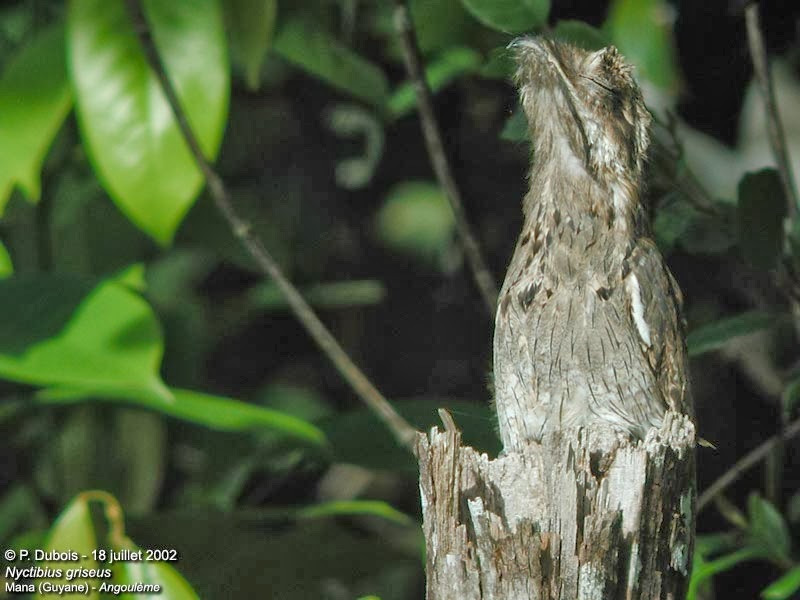 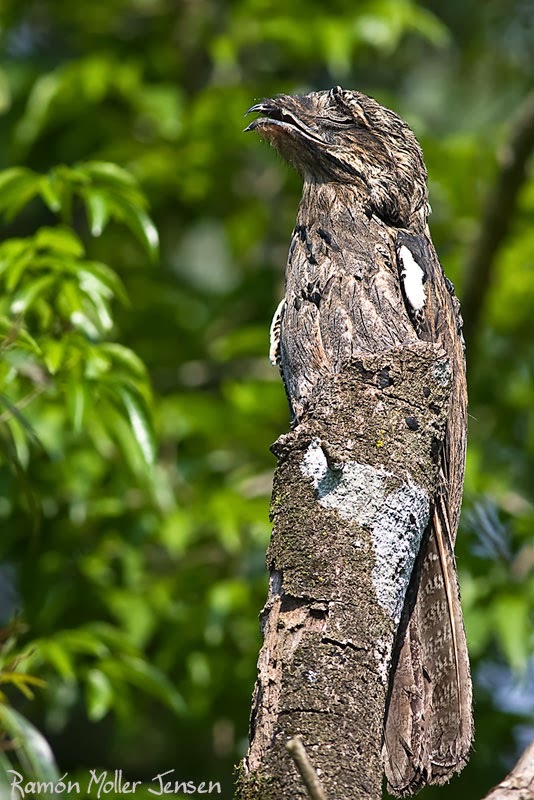 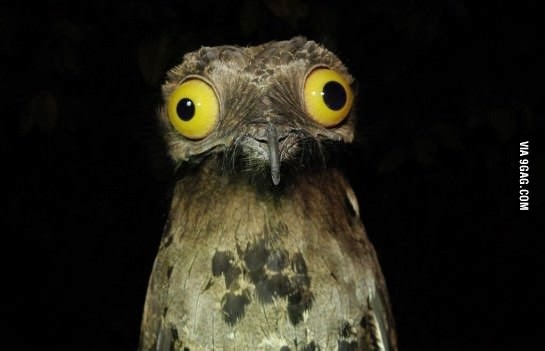 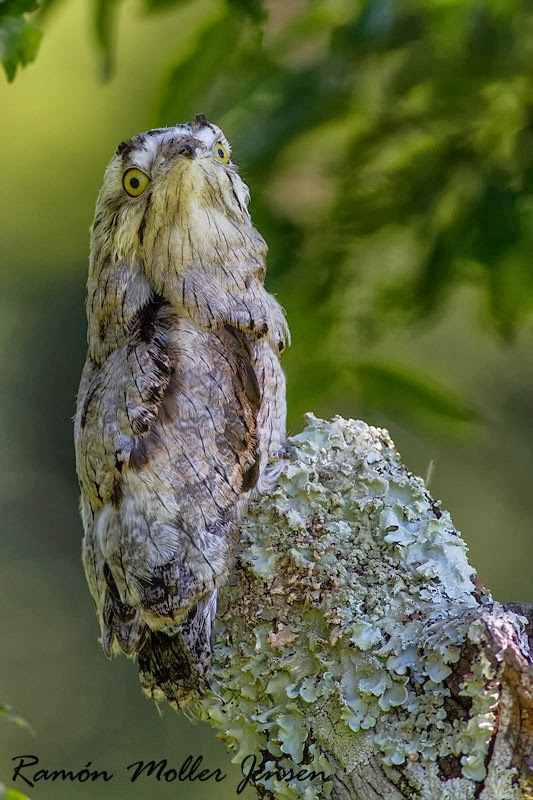 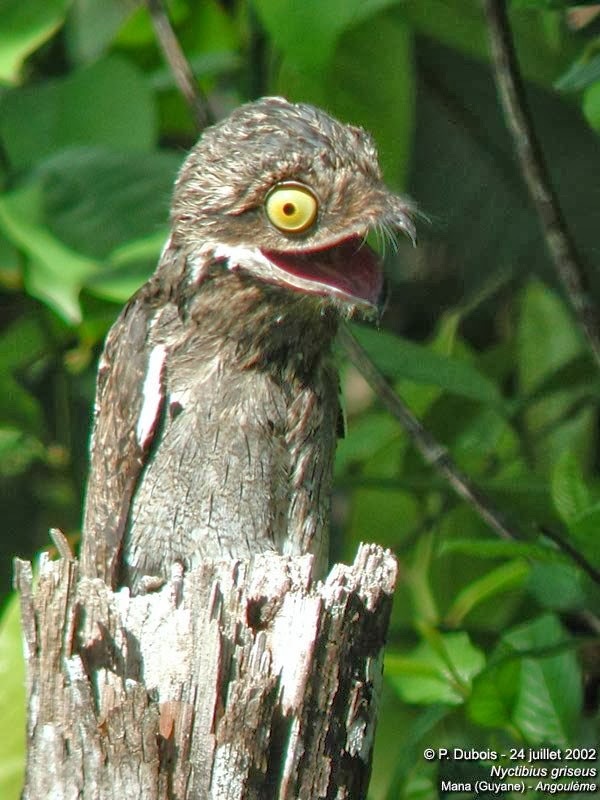 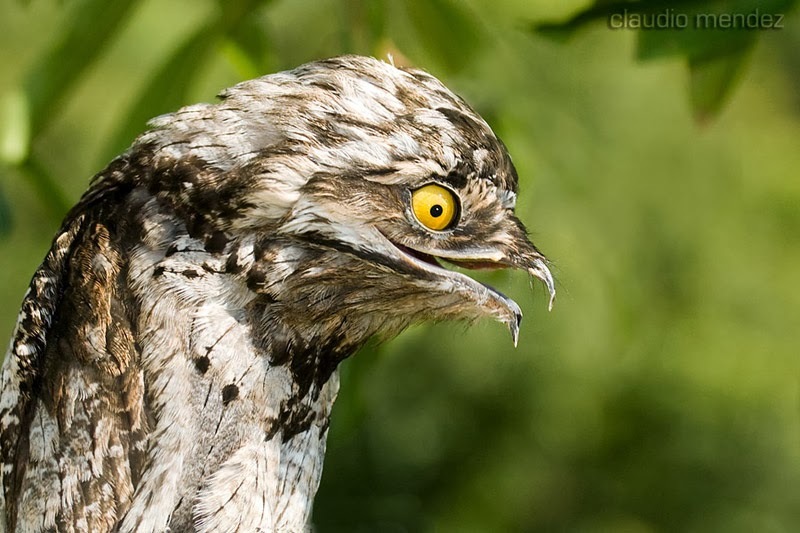 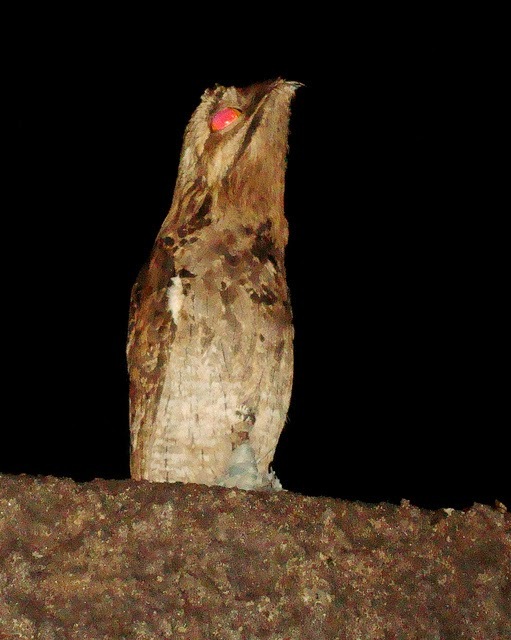 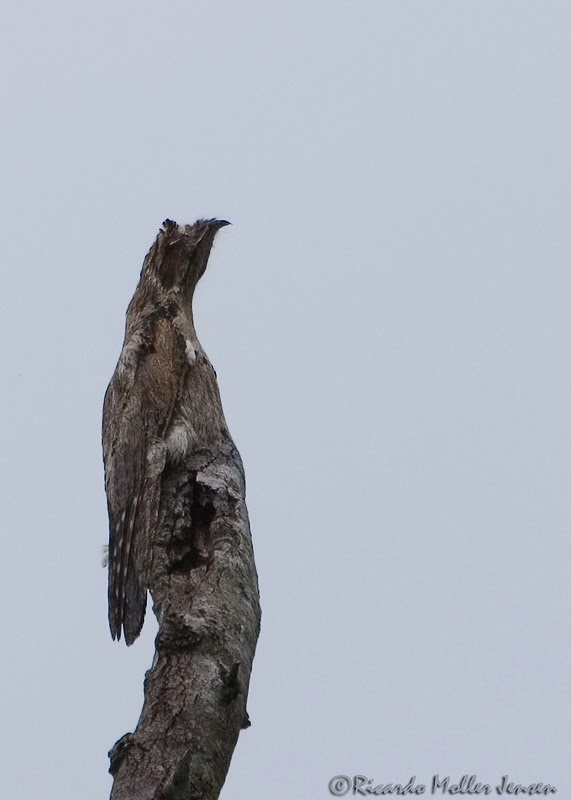 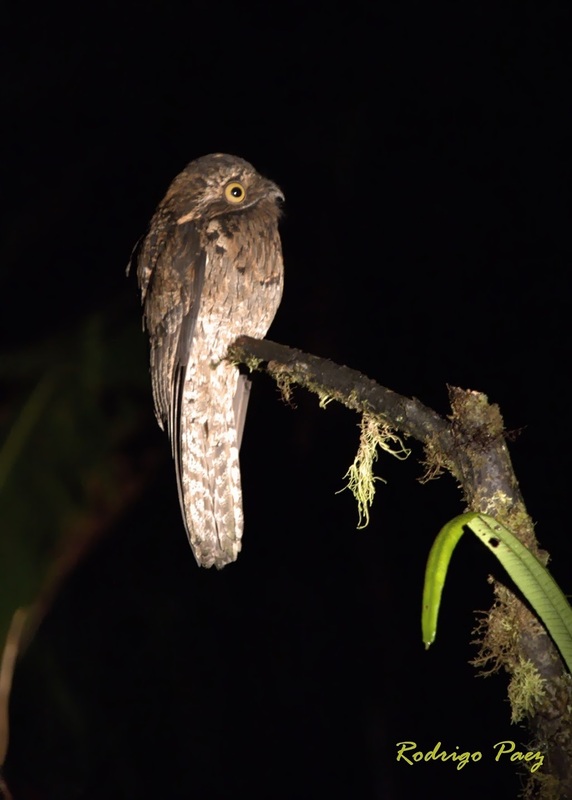 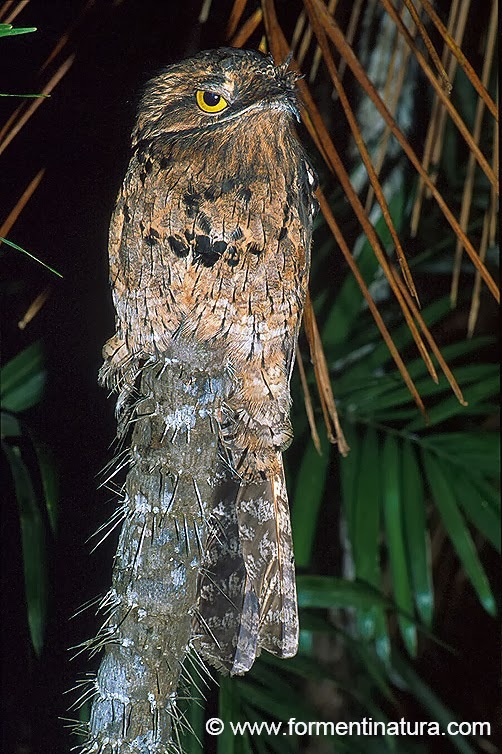 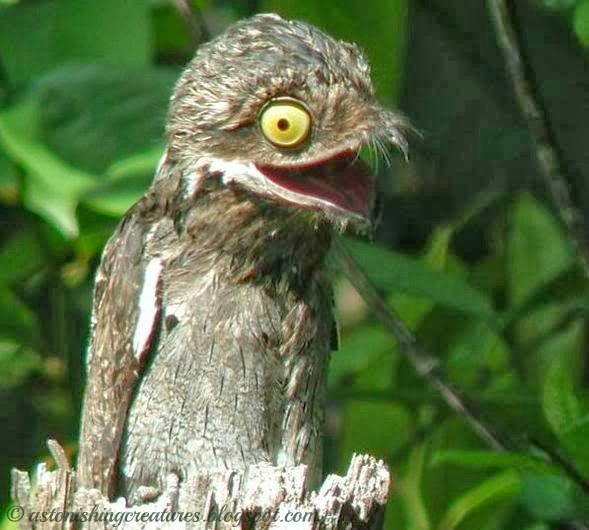 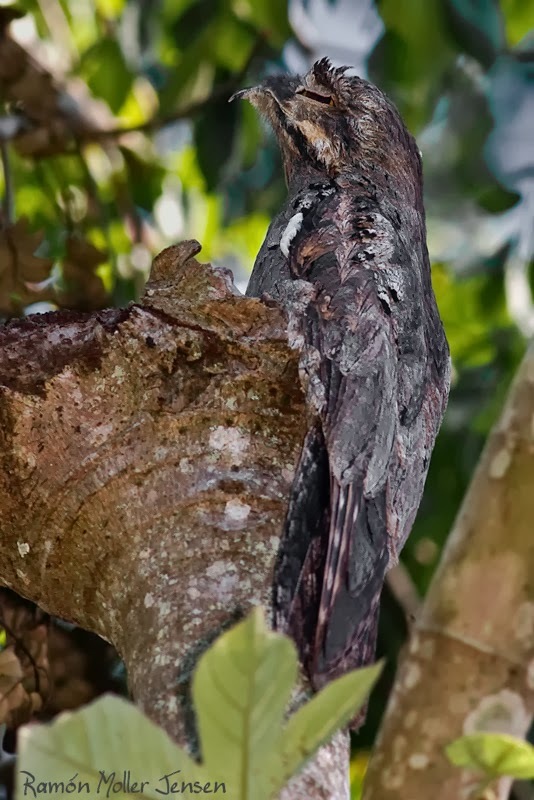 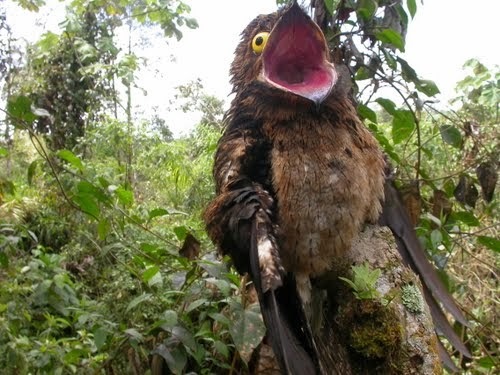 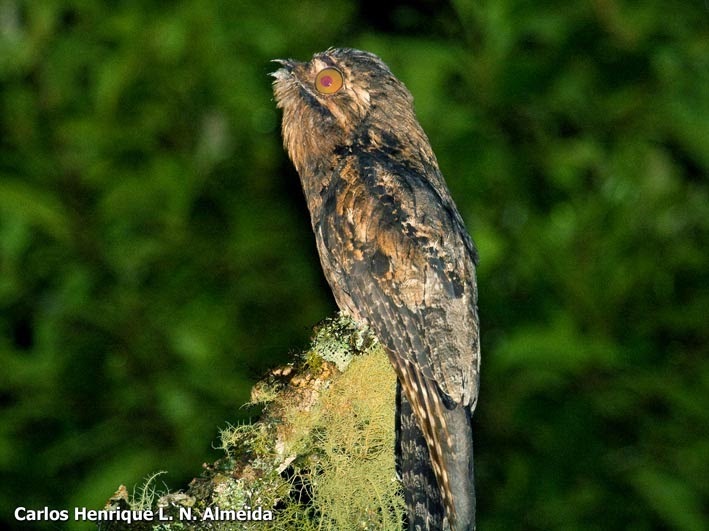 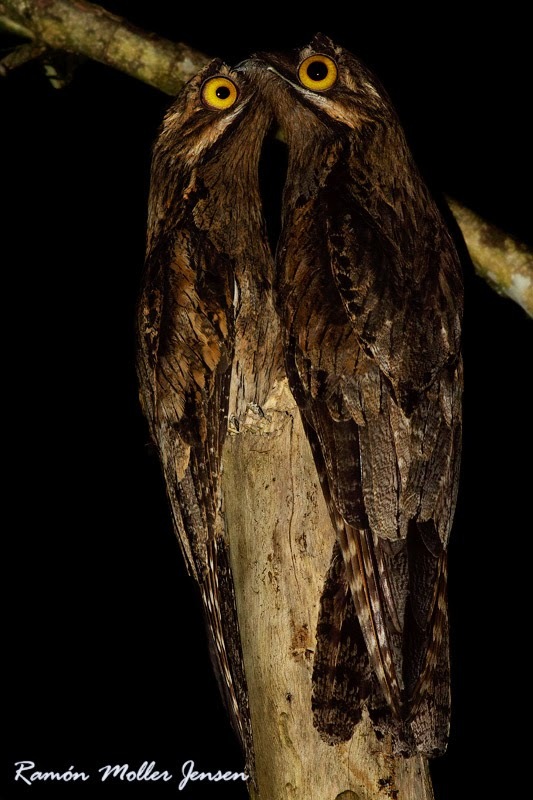 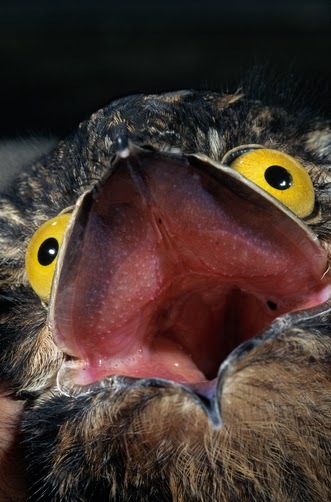 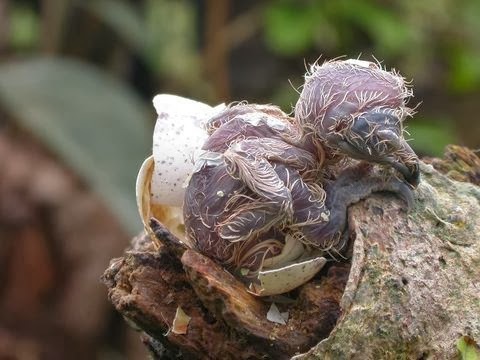 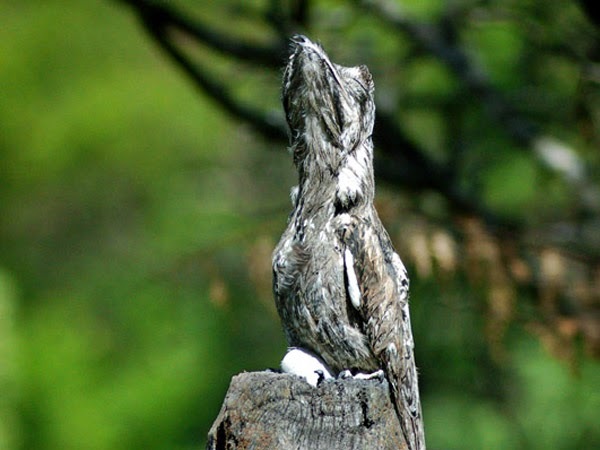 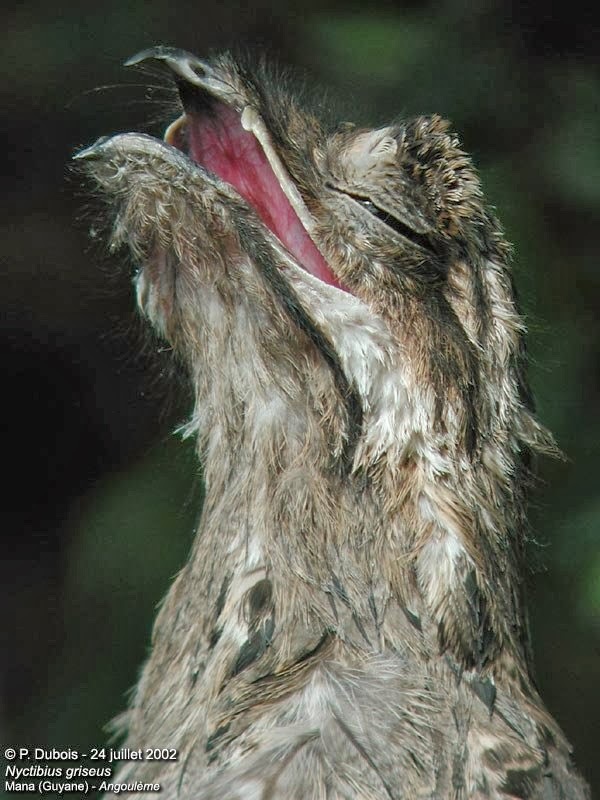 This potoo is a large cypselomorph bird related to the nightjars and frogmouths, but like other potoos it lacks the bristles around the mouth found in the true nightjars. 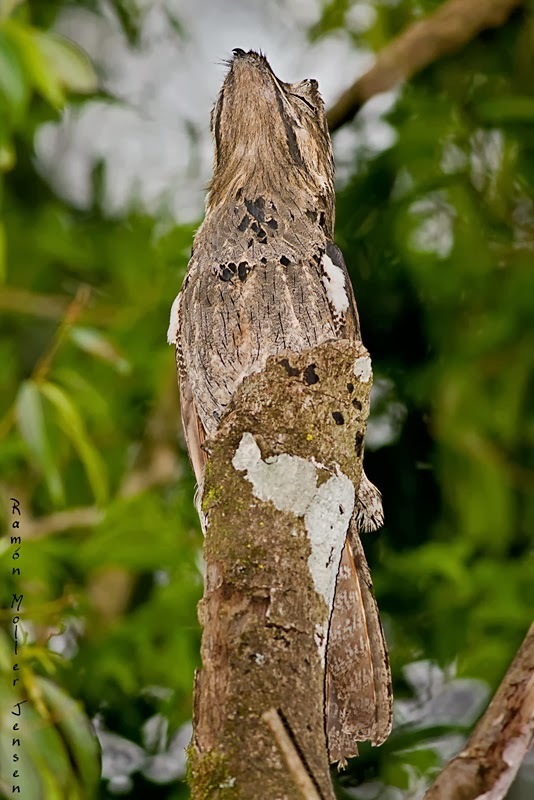 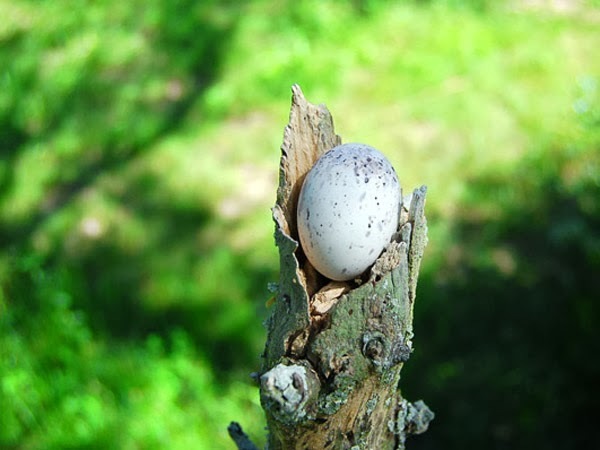 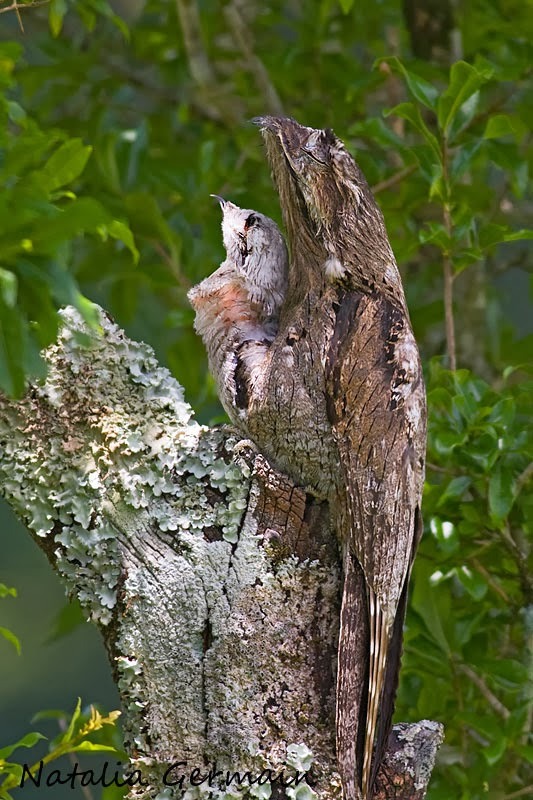 It is 33–38 cm long and pale greyish to brown, finely patterned with black and buff, camouflaged to look like a log; this is a safety measure to help protect it from predators, but its mode of perch is also a camouflage. 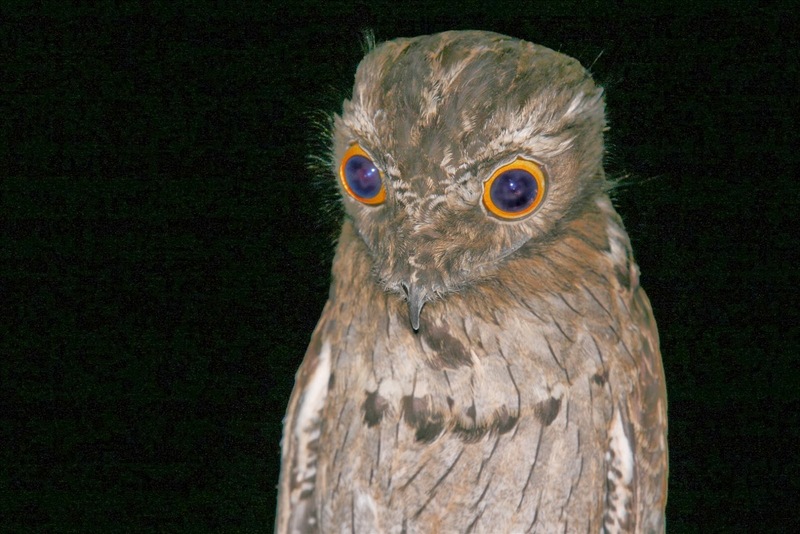 It has large orange eyes. 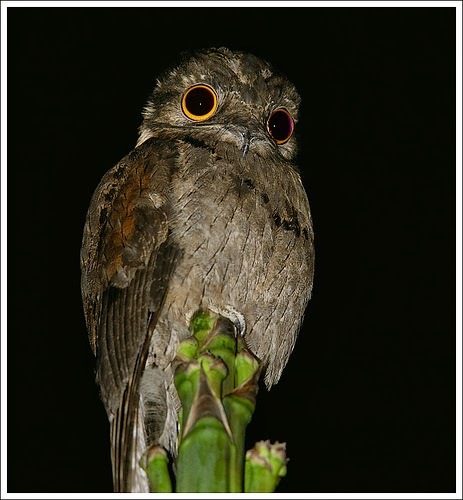 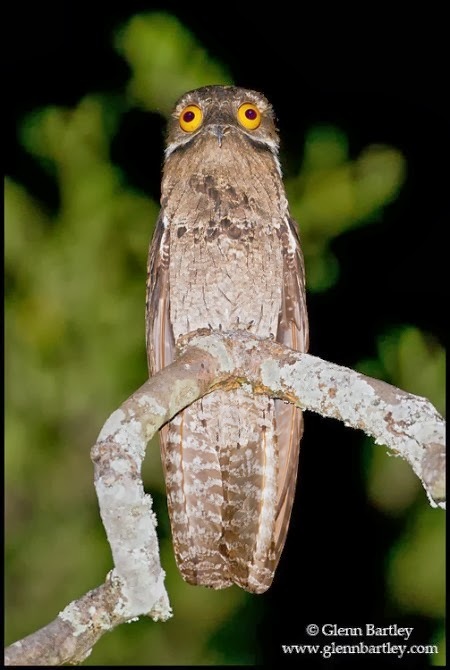 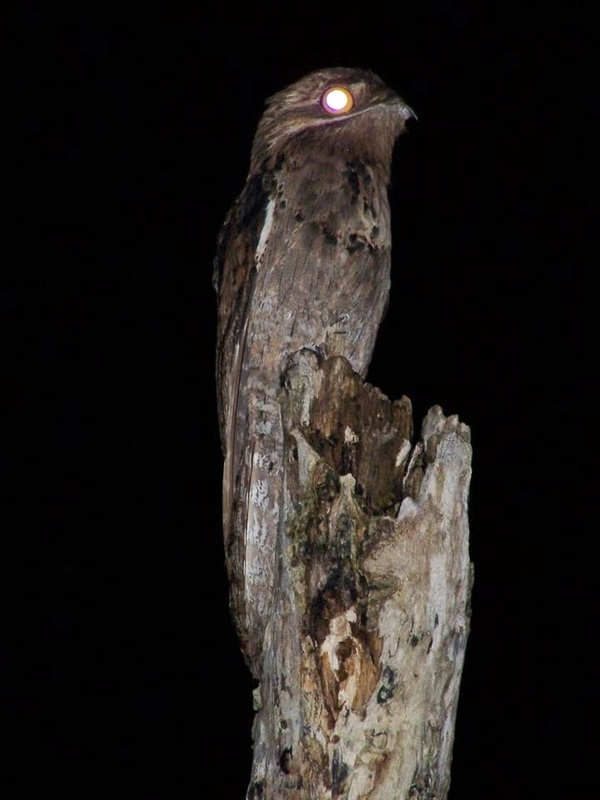 The Common Potoo can be located at night by the reflection of light from its eyes as it sits on a post, or by its haunting melancholic song, a BO-OU, BO-ou, bo-ou, bo-ou, bo-ou, bo-ou, bo-ou, bo-ou dropping in both pitch and volume.It has special disruptive coloration so it camouflages into a branch, as shown on the picture.